FULL SURFER HEAT DRAW NOW AVAILABLE. DOWNLOAD HERE. 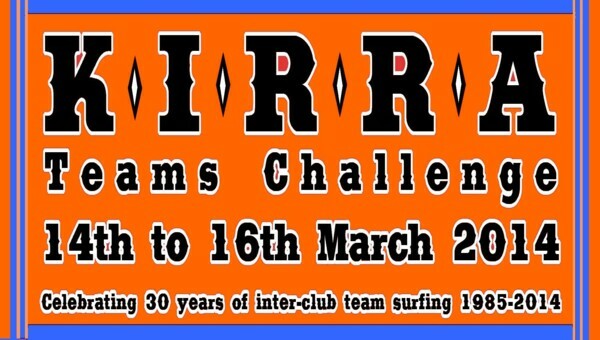 The 2014 Kirra Teams Challenge, proudly presented by the Kirra Surfriders Club for the 30th consecutive year, is set to run from Friday 14th to Sunday 16th of March 2014. Sponsors confirmed so far for the 2014 event include Gold Sponsors; Gold Coast City Council & Rainbow Bay Surf Lifesaving Club. Bronze & other support sponsors include Lost Mayhem, Allstate Partners and Hannah’s Choice. The 2014 event will be the 30th year that the Kirra Surfriders Club has hosted the “Kirra Teams Challenge” with up to 34 teams from board riding clubs around Australia expected to compete for the title of ”Australia’s Best Boardriding Club”.